Home » Blog » Internet for Audio Video – Part 2. How can I get good Wi-Fi speed and coverage throughout my home? Internet for Audio Video – Part 2. How can I get good Wi-Fi speed and coverage throughout my home? For over 4 years, internet streaming has been important for modern AV systems and it is now essential as much of the programming people watch and listen to are streamed from internet services, not from broadcast, cable, and satellite providers. This is the second part in a series that answers the most common questions our customer have when upgrading their AV experience. Home Wi-Fi was originally used for laptops and desktop computers that could not be hardwired with an Ethernet cable back to the home router. With the introduction of streaming media players like Roku and AppleTV, then widespread use of smartphones and tablets, Wi-Fi has become essential in the home. While it is best to have immobile devices like desktop and printers, and even TV’s and media players, hardwired in the home, almost everyone has mobile devices requiring a wireless network. Also, in many homes, it’s very difficult to pull a wire through the wall, back to the router or Ethernet switch. The devices must be configured and used correctly. Wi-Fi standards are constantly expanding, and devices both the network and the devices connecting to the network, are being substantially improved. If you router/access points are 4 or more years old they should be updated. Today, we find that the Apple and Asus devices to be very good choices. Network devices are NOT a good place to buy the lower cost equipment. The reason to run current equipment is to support the latest standard, and do it with the best implementation. 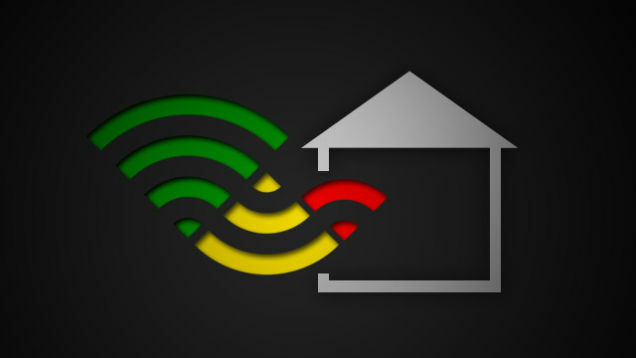 All home systems have a network router that is actually a firewall that isolates your home network from the internet. Sometimes, that is built into the cable modem or DSL adapter. The router usually has a Wi-Fi access point built-in that is the main wireless device in your home. If your home is large, and/or the router is not well located, it is often necessary to add a second device that is configured as a Wi-Fi access point. Most routers can be put into a bridge mode that turns off the routing/firewall functions and it can be setup as a second Wi-Fi access point. By placing the main router and one or more access points in good locations in the home, you can ensure good wireless coverage anywhere. If all the devices are from the same manufacturer, they can often work together seamlessly with the same network name and password, and handing off your devices to the access point with the strongest signal as you move thru the home. The biggest challenge is that the access point must be hardwired via Ethernet back to the router. There are devices call network extenders that require not physical connection to the router, you just plug them in and they repeat the Wi-Fi signal to expand the coverage. However, we have found these devices to be unreliable, especially for streaming media so we do not use or recommend them. However, there is an easy, low cost, way to hardwire connect devices back to a router that almost always works. That is the subject of the third part of this series.